When guests or customers first see your customized limo, do you want them to have gymnast’s McKayla Maroney’s famous “not impressed” face? Of course not. You want them to not only be impressed, but to feel truly special as they step into your one of a kind limousine. The key to customizing a limo is to remember the sky is the limit. A black stretch may be a classic, but it’s not a one size fits all. Every limo deserves to be unique. Take the time to get creative and make sure your custom limo makes a lasting impression on every passenger. You’re not limited to Lincolns and Chrysler’s. With a few exceptions, most vehicles can be stretched into limousines. Start with the right make and model to build your custom dream on. For instance, if you want a small limo, you could stretch a Prius or if you’re looking for something larger, a Hummer might be better. The vehicle you choose serves as your base and the right make/model turns your vision into a reality. The outside is the first thing anyone sees. A sleek black is always stunning, but does it accurately reflect your hotel or business? Even that can be spiced up with chrome trim or changing the way the door opens. Still, a custom paint job and a sun roof add a little something extra that grabs attention and indicates that anyone inside must be someone important. You might think no one notices the flooring, but they do. Did you know customizing a limo means customizing everything, including the floor? From carpet to hardwood and everything in between, the sky’s the limit. Obviously, carpet is harder to clean, but a plush carpeting is soothing on your guests’ feet, especially if they’re wearing dress shoes. Dull colors look professional, but so do unique patterns and custom colors. You don’t have to opt for neon polka dots, unless of course you’re designing a party limo. For instance, in this custom Audi, the beige seat color is offset by dark brown marble trim, adding an extra bit of elegance. Something as simple as a softer fabric could make all the difference in how your passengers feel while in your limousine. You have control over the layout. Make it seem more like a normal car with rows of seats, have wrap around seating or have seats on both sides, but not in the rear. Have the bar placed in the center or add in an entertainment system complete with everything your passengers need to watch TV or listen to music. 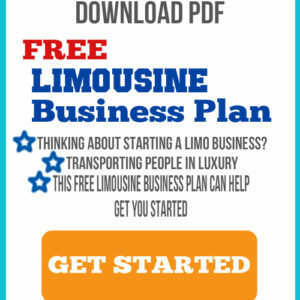 The layout can be re-arranged to make your custom limo as spacious as you want. As long as nothing is in the way of the doors, you’re free to be as creative as you’d like. Customizing a limo is all about adding in the extras. For instance, what if the ceiling was covered in a mural or fractals danced across the floor to the beat of whatever music is playing? Discreet charging stations or hand carved design along the wood trim of the bar all make passengers take notice. It’s all about surprising passengers and taking them beyond what they expect a limousine to be. As you can see, the sky truly is the limit. We’ll work with you to turn your plans into a design you’ll be proud of. Not only will you love it, but you’ll receive nothing but compliments from every passenger. Customizing a limo takes imagination and we’re more than happy to show you what’s possible to ensure you get the perfect custom build. Don’t let your passengers settle for a normal limo. Contact us today for a custom limo that will impress them every time.